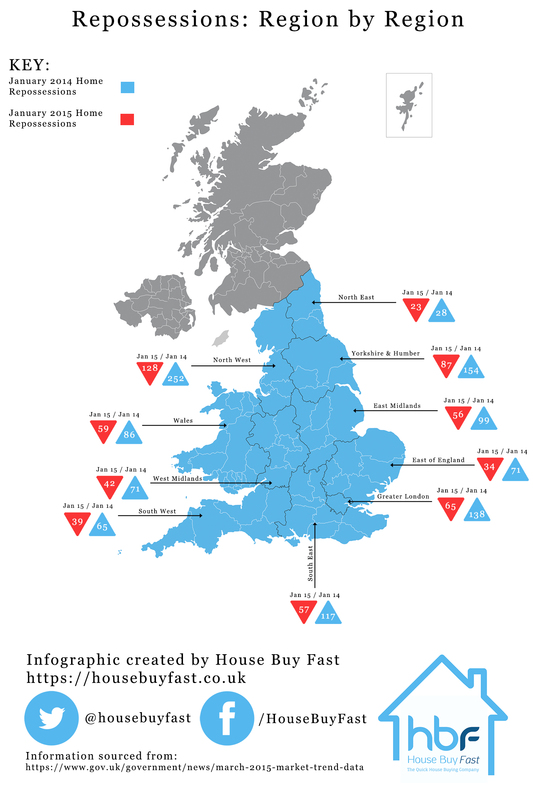 On the 30th of April we saw the Land Registry publish their house price index. They have released encouraging news for UK home owners. Repossessions are down across the board! In the months October 2014 to January 2015, repossession volumes averaged 720 per month. This is a fall compared to the same period a year earlier, when volumes averaged 1,173 per month. 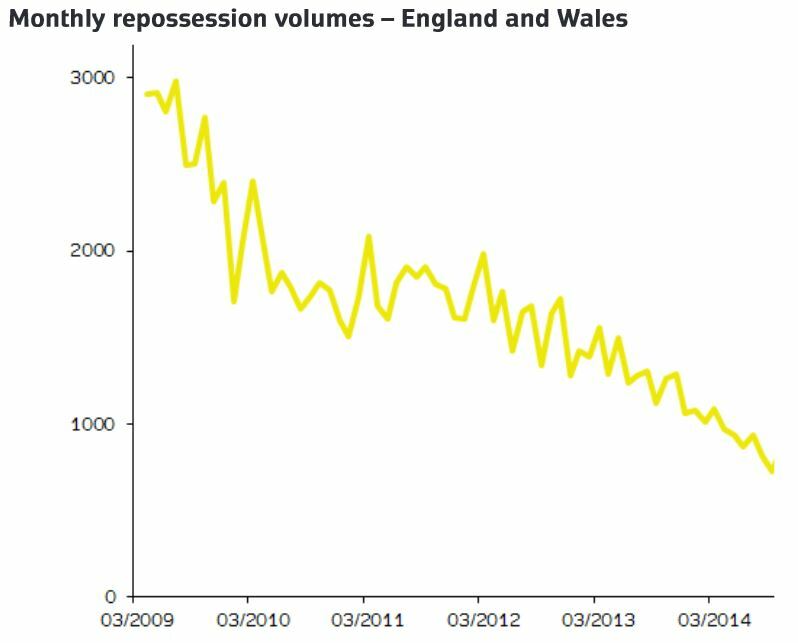 Repossession volumes are exhibiting a downward trend. Positive news for the UK economy, but can this downward trend last? We would love to hear your thoughts in the comment section below. From this data we can see that Greater London is the region with the greatest fall of repossessions, while the East of England comes in at second place. 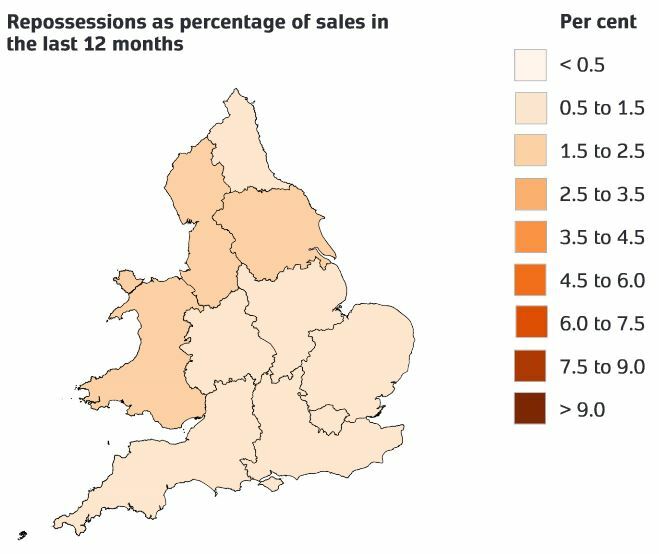 From the data provided we can see that actually all regions experienced a decrease in the number of repossession sales. Year upon year of a downward trend has seen repossessions at their lowest rate since 2006. This is backed up by the data provided by the Government House Price Index, this is genuinely great news for the UK economy and property market. For the time being the property market and low interest rates look set to continue the decline in repossessions. However, how many families are living month by month, from one pay cheque to the next? More importantly, how would even a small rise in their mortgage rate affect them? The true extent of repossession will perhaps only become clear then. Last updated on 13/05/2015 by Jonathan Rolande.